Fiesta Farm sent two riders and several auditors to the recent George Morris riding clinic held at the Tryon Riding and Hunt Club facility in Tryon, NC. 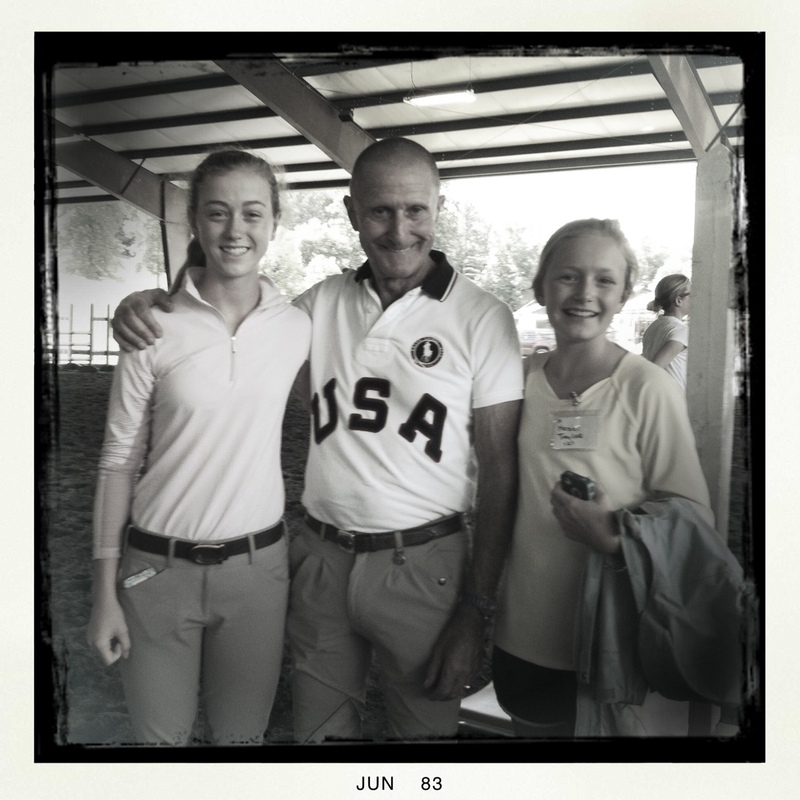 Mr. Morris is a world renowned trainer, clinician, and author who has had a very large part in making the American Style of show jumping world famous. He is a former Olympian who worked with some of the premiere teachers of classic riding over fences: Bert De Nemethy, coach of the United States show jumping team for 25 years; as well as his early mentor Gordon Wright, a notable American riding teacher. Along with Mr. De Nemethy, Mr. Morris has had a profound and far reaching impacts on equestrian arts. 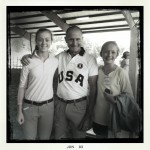 Mr. Morris has recently stepped aside as Chief d’Equipe of the United States Equestrian Team’s show jumping branch. Mr. Morris rode in the Tryon area in his early years and returned in early June of this year as a part of the 75th anniversary celebration of the Horse Show held there each summer by the TR&HC. Mr. Morris judged the “big equitation” classes at the show, including both the USEF’s (United States Equestrian Federation) “Medal“, the USET Talent Search, Washington Equitation Classes, and the MacClay. These classes are much sough after wins for junior riders (17 and under) competing at 3’6″ and interested in honing their skills as advanced riders. National finals are held each year in the fall for each of these important classes with a variety of finals qualification processes. Some of the most famous riders in American riding history are among the elite who have won one or more of the “finals”. Mr. Morris is one of the few to have one two of the finals, doing so in the same year and at the unprecedented age of 14. Mr. Morris has since judged many of these finals over the years. Fiesta Farm was thrilled to have two riders accepted to ride under Mr. Morris: Aida Sanchez who rides professionally for Fiesta Farm in both the hunter and jumper divisions, rode in the 3’6″ jumper section of the clinic, and Carter Anderson, a junior rider with Fiesta, was admitted to the clinic in the 3′ division. Both riders learned a great deal from Mr. Morris and will treasure this opportunity to have learned directly from one of the best horsemen ever to be developed in America. Fiesta Farm also fielded a number of auditors for the clinic including Susan Kuliasha, owner and trainer at Fiesta Farm. Ms. Kuliasha will now not only have read Mr. Morris’s books and seen him ride but will have had direct instruction on his system of training both horses and riders. Ms. Kuliasha was able to have a clinic herself with Mr. Morris’s mentor Gordon Wright in the 1960s when he was still an active coach and clinician.